The Model JTR-H™ is a revolutionary product containing four stages of heated pressure regulation in one 316 stainless steel housing. The design of the JTR-H™ separates it from current multi-stage heated regulators that are typically limited to two stages. The four stage pressure regulator not effected by supply pressure changes! The Model JTR-H™ is a revolutionary product containing four stages of heated pressure regulation in one 316 stainless steel housing. The design of the JTR-H™ separates it from current multi-stage heated regulators that are typically limited to two stages. 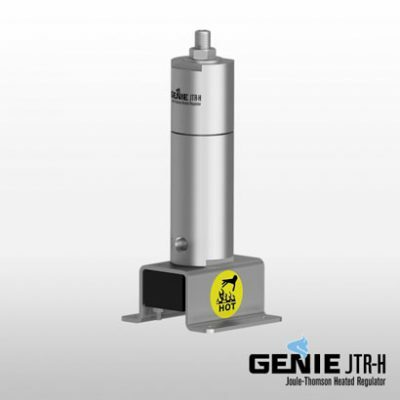 Specifically designed for gas analytical systems, the JTR-H™ prevents condensation of the sample gas from occurring as a result of Joule-Thomson (JT) cooling during the pressure reduction process of high pressure and high dew point gases or due to low operating or ambient temperatures. 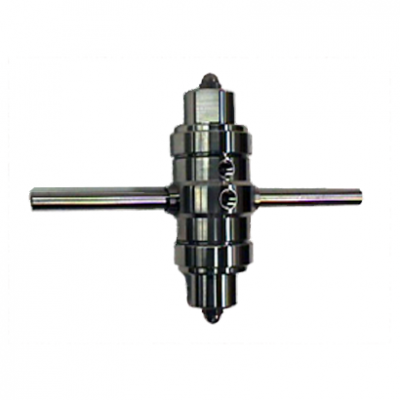 The first three stages of the JTR-H™ reduce pressure by a set ratio and the fourth stage is user adjustable. 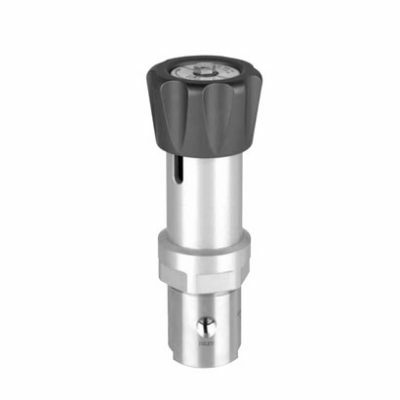 This ensures that all stages remain functional and give the JTR-H™ the ability to auto correct and maintain its outlet pressure during inlet pressure swings up to 5700 PSI. 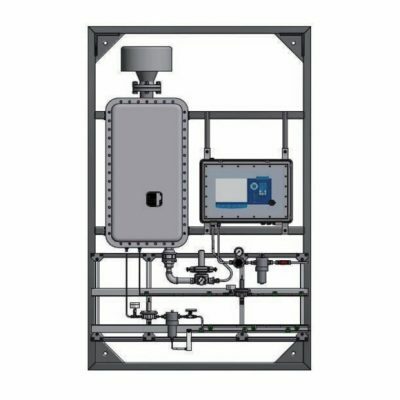 Inlet pressure swings commonly occur at natural gas storage facilities, making the JTR-H™ the regulator of choice for these applications. The need for the JTR-H™ is best illustrated by referencing the natural gas phase diagram below. For this particular gas composition, the only regulator capable of preventing condensation and complying with the API 14.1 requirement of maintaining the sample 30°F above the hydrocarbon dew point is the JTR-H™. The JTR-H™ can be heated using either an electrical cartridge heater with proportional temperature controller or a self-limiting block heater; both of which require a direct power connection. The proportional temperature controller allows for precise temperature control using a digital temperature readout and is protected with a backup thermal cutoff. The self-limiting block heater provides a simple and reliable option that prevents temperature overload and is designed to be mounted in small enclosures or densely populated cabinets.